The Hello Kitty Fun & Friendship Box Set is a cute set for anyone looking to grab the six silent Hello Kitty graphic adventures that were released individually at 7.99 each by Viz Media. At $39.99 this set isn’t exactly an amazing steal, but you do pretty much get one volume of Hello Kitty for free and a cute box to keep them in. Each of the volumes are themed adventures that Hello Kitty and her friends embark on. She doesn’t say anything throughout the stories which makes this a great set for young children who know how to handle books. 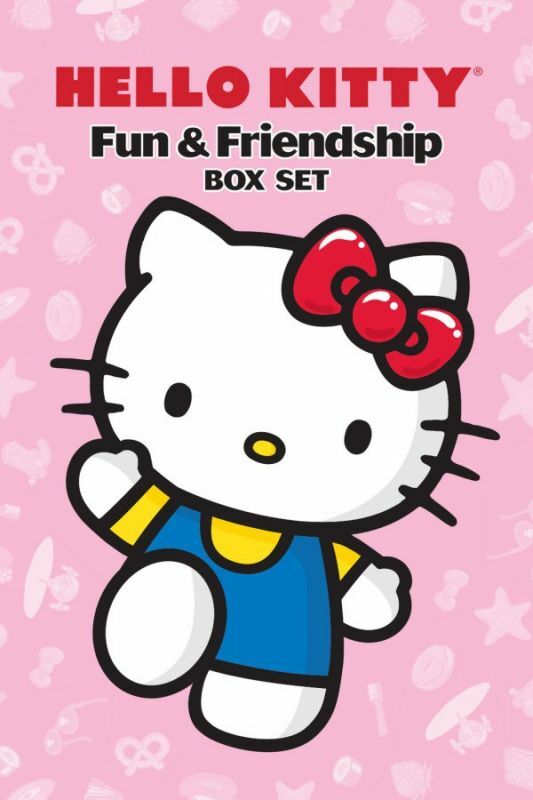 This set is also great for any fan or collector of Hello Kitty merchandise. As one can imagine, the different volumes are themed by title – so It’s About Time features stories about time, clocks, and time travel. Delicious! has instances of Hello Kitty and her friends cooking, eating, and enjoying food. Work of Art shows Hello Kitty’s reactions to artwork and museum trips. I think this is fairly self-explanatory. Overall, as I mentioned, this set is great for people who want to get the books or collect Hello Kitty. Unfortunately, the box itself is not very great quality. Instead of chipboard, it seems that Viz Media/Perfect Square opted for a heavyweight paper. It’s not quite thick enough to call it cardboard, it isn’t as sturdy as chipboard, it’s a few notches up from being the same thickness as the paper used for a paperback book. My box arrived a bit crunched up despite being packed tight with all the volumes inside. So even with the box full, the box isn’t really strong enough to hold up the way nicer sets do. If you’re looking for something fun or a discounted way to get a bunch of Hello Kitty books, consider this your thing. I wouldn’t say this an essential item, you’re not really at a loss if buy the volumes individually.